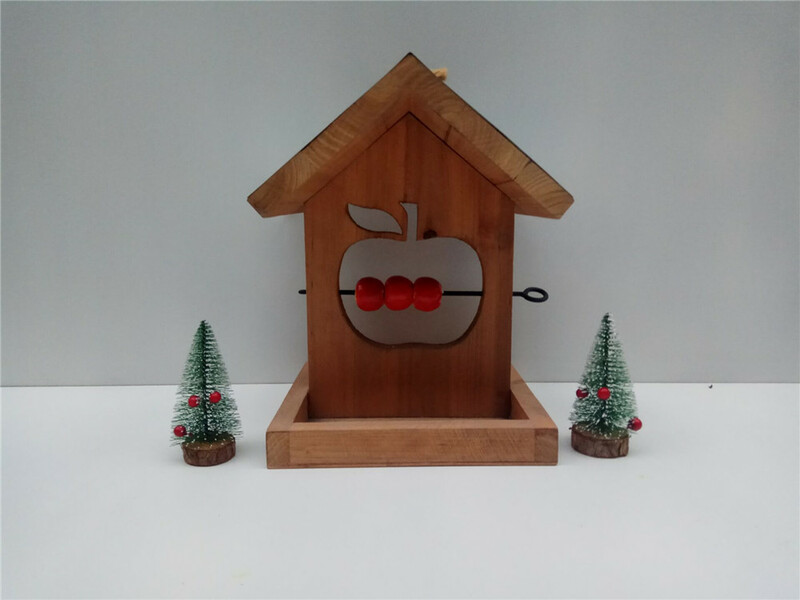 Why choice this bird house ? 1. 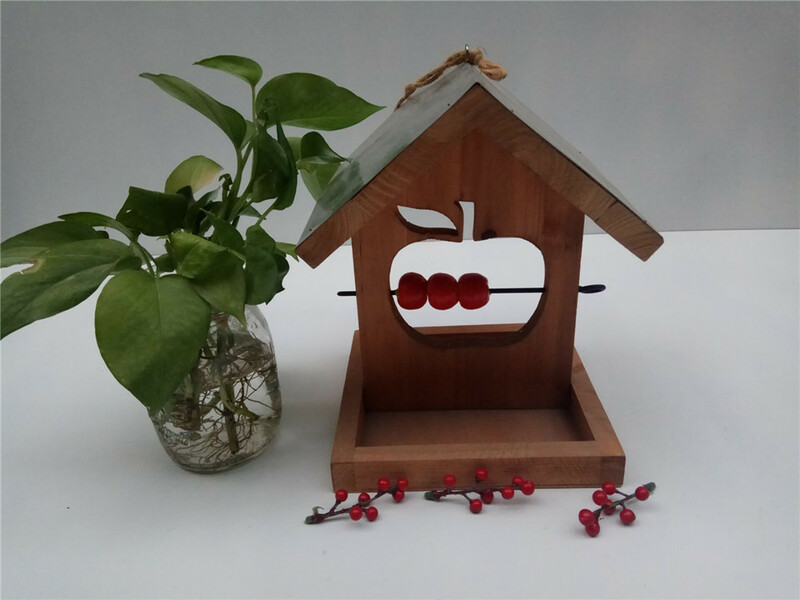 Many wooden bird can not keep dry when raining,but our feeling bird house can prevent being wet from rain. 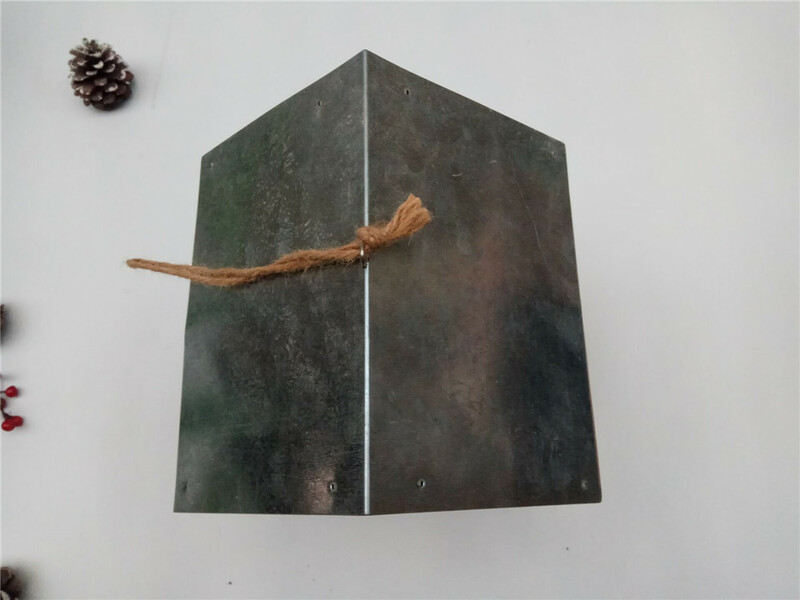 As the metal roof design. 2. 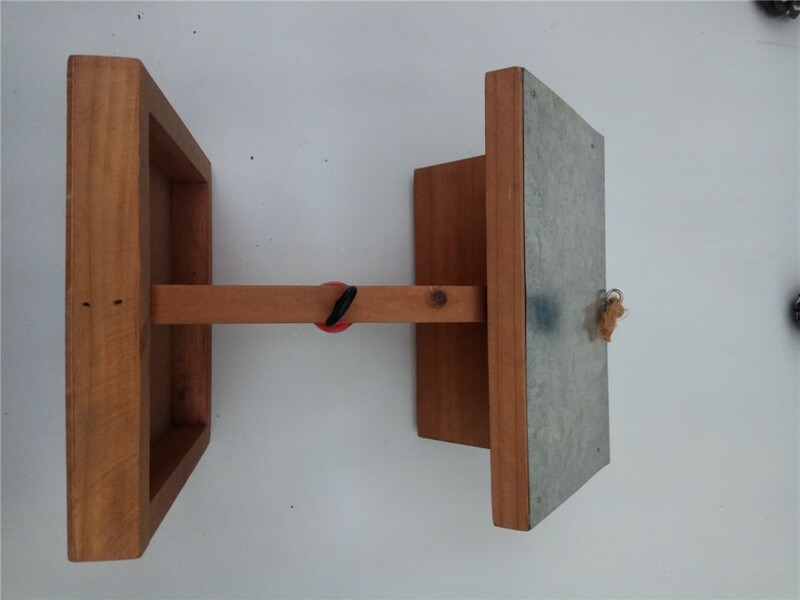 Two purpose,the bird not only can felling not also rest in the Wooden Bird House. 3. 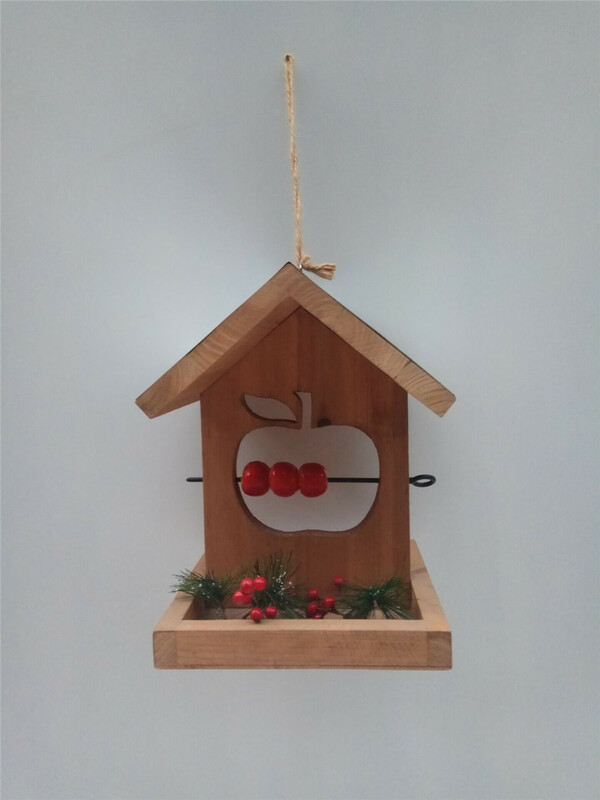 You can hung from the tree or free standing in the window or patio area. 4. 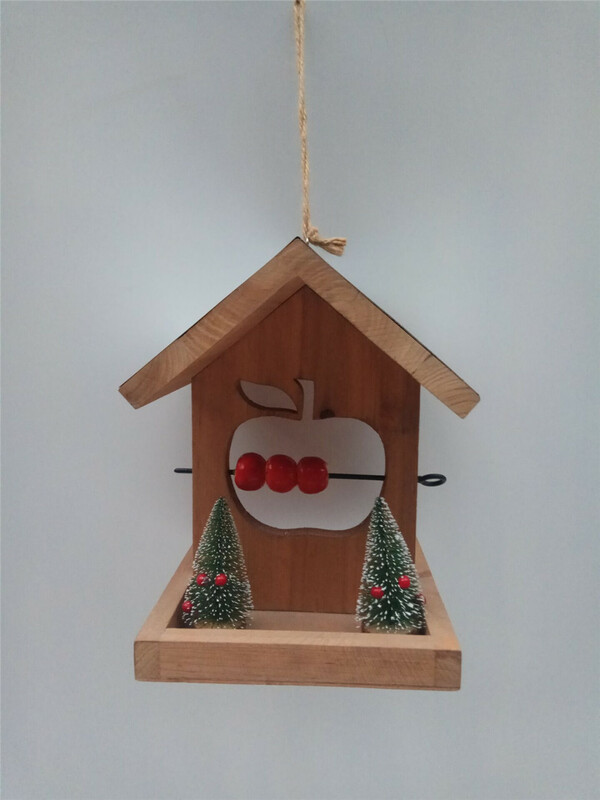 Wild garden bird -apple feeder. 5. The material is solid. 6. 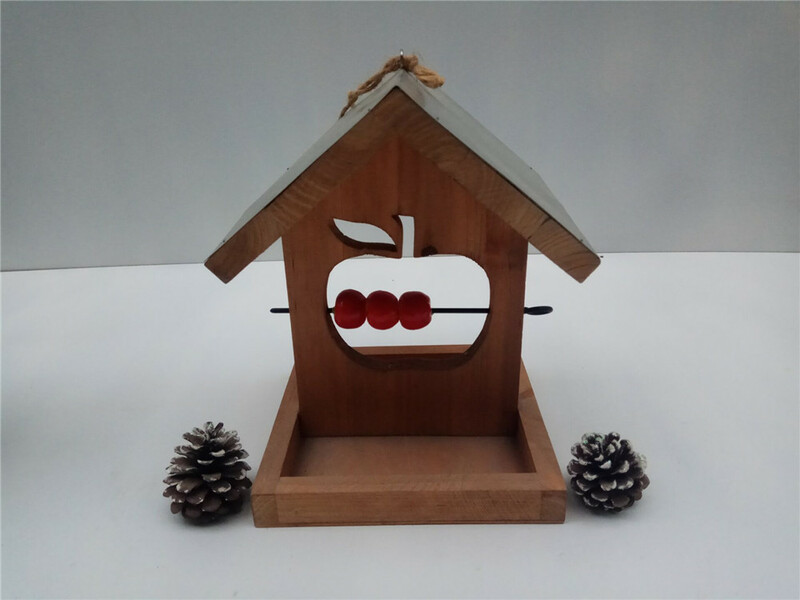 House shaped wooden apple feeder designed to skewer fruit to provide a fresh food source for wild birds. 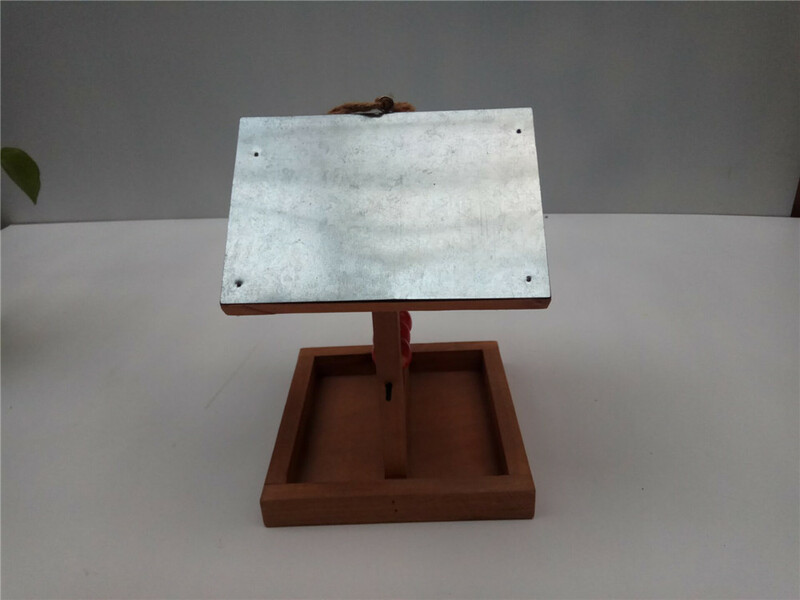 Looking for ideal Wild Garden Bird Apple Feeder Manufacturer & supplier ? We have a wide selection at great prices to help you get creative. 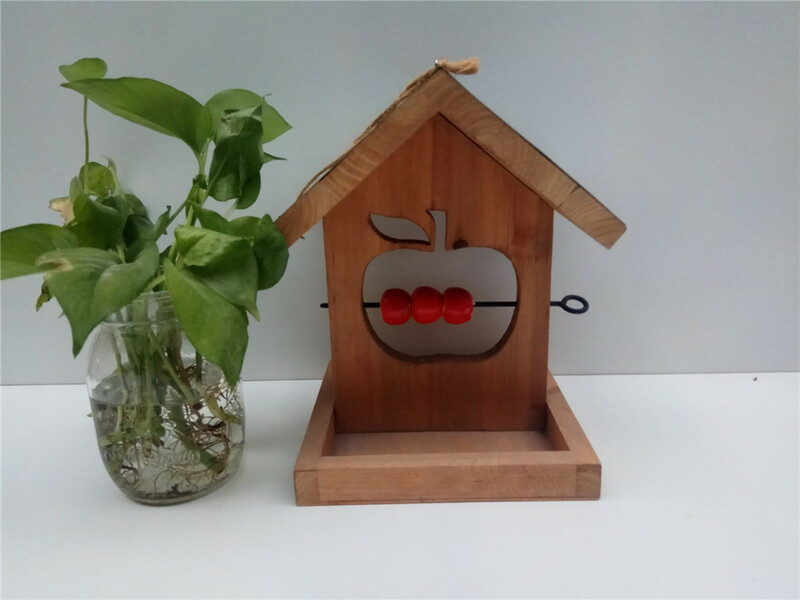 All the Feeding And Rest Wooden Bird House are quality guaranteed. 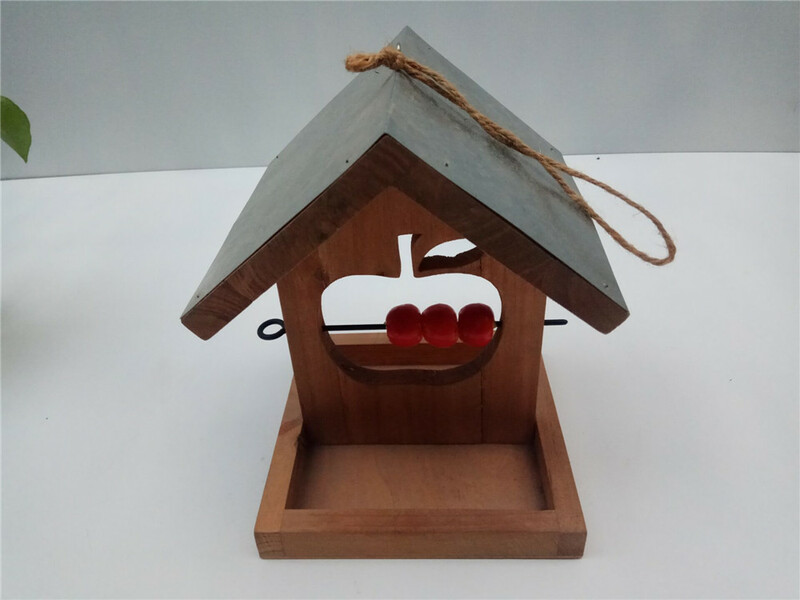 We are China Origin Factory of Solid Wooden Bird House Hanging. If you have any question, please feel free to contact us.